Ben Griffin provides context and commentary followed by the original text of our Half-Life 2 review, published in the November 2004 issue of PC Gamer UK. More classic reviews here. 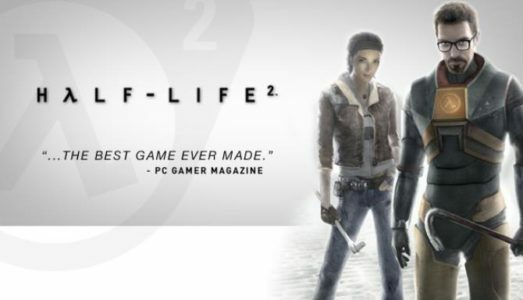 What more can be said about Half-Life 2? Jim Rossignol's words below still do a fine job of summing up just why the world got worked up over a singleplayer shooter. November 2004 was a standout month for PC gaming, and indeed PC Gamer: a 96% for Valve's opus, 95% for Rome: Total War to a 95%, an 89% FIFA 2005, and Shade: Wrath of Angels with a, er, 59%. But the game we called 'messianic' was all that mattered that month, and indeed, that year. Not only did it kick off Valve's (eventually) world-conquering Steam service, but it courted criminals too. After FBI involvement and a concerted effort from Valve's community, the stolen Half-Life 2 code was returned several anxious months later, but not after a making dear old Gabe sweat through a heavily delayed development schedule.